VOA 현장영어 - I’ll see you at the ballpark. 가족이나 친구와 함께 야구장에서 직접 야구를 즐기는 사람들이 많습니다. 경쾌하게 뻗어나가는 야구공과 관중들의 함성은 TV중계에서는 느낄 수 없는 현장감과 긴장감을 더해주지요. 핫도그와 음료수 같은 군것질 거리를 먹는 재미도 있습니다. 오늘은 야구 관람 약속을 잡는 표현을 배워봅니다. A:Are you planning on going to the baseball game tonight? B:Yes, I am. How about you? A:Then you need to give 7,000 Won to Tom ASAP so he can buy the tickets. B:OK. I will pay Tom right away. A:Game starts at 6:30 p.m., but you need to be there no later than 6:00 p.m.
B:I see. How are you going to get there? A:I’m going to take the metro. B:All right. Then, I’ll see you at the ballpark. * Have you bought ~ ? : ~을 이미 구입하셨어요? ~을 이미 샀나요? 무엇을 돈을 주고 사다는 단어 ‘buy’의 과거, 과거분사형이 ‘bought’이지요. Have you bought ~? 와 같이 현재완료형 문장은 과거부터 현재까지 일어난 일을 표현하는 말입니다. * Not yet. 아직 ~하지 않았다, 아직 ~이 아니다. 여기서는 아직 내 입장권을 구입하지 않았다, 즉 “I haven’t bought my ticket yet.” 을 줄인 말이지요. * ASAP: 가능한 한 빨리, 즉 ‘as soon as possible’을 줄인 말로, 발음은 ‘에이쌮’입니다. 이제 대화 내용 중에서 “”라는 표현을 활용해서 영어로 간단히 대화를 주고 받는 연습을 해볼까요? B:No, I won’t be able to make it. A:오늘 밤 야구경기장에 가실 건가요? 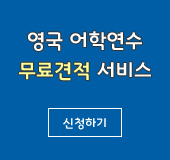 B:아뇨, 저는 가기 힘들 것 같아요. A:Are you going to the baseball game tonight? B:Yes, I am. Are you going, too? A:오늘 밤 야구 경기 보러 가실 건가요? B:네, 갈 겁니다. 당신도 가세요? A:I regret that I won’t be able to make it to the ballpark this evening. B:That’s okay. You can join us next time. A:저는 오늘 저녁 야구경기장에 못 갈 것 같은 데 미안합니다. B:괜찮아요. 다음에 우리하고 같이 가면 되죠. I’m going to take the metro. All right. Then, I’ll see you at the ballpark.